Every now and then I get tired and need to be reminded as to why I continue to run this blog as well as do all the other things I continue to do for our community. Working a full-time job as a supervisor as well as running this blog and trying to complete a novel are very daunting tasks, but when I read stories like that of George Stinney Jr. I’m reminded as to why I continue to fight for my community. 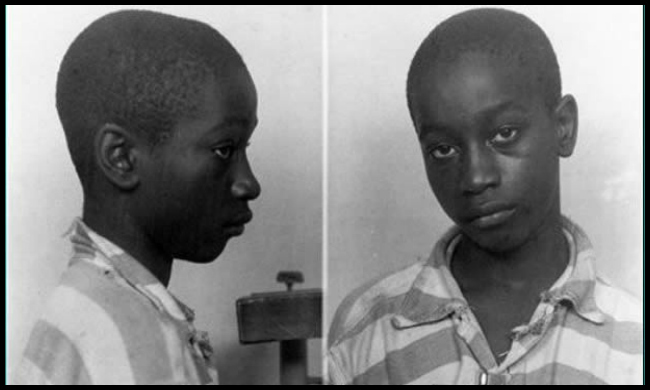 For you who do not know, George Stinney Jr., at the age of 14, was the youngest American to be executed in the 20th century after he was accused of murdering two white girls. I repeat, he was only 14 years old and of course this was during the time when white folks didn’t put on any pretense when it came to killing black folks. Every time I look at that picture of Stinney, I cry. The innocence on his face shoots a pain to my heart that I can’t describe. Hell, I’m crying while I write this so forgive me if some of this is a little incoherent. It’s something so heartbreaking about the injustice that has taken and continues to take place in this country. How can people expect Black Folks to get over stuff like this when this stuff is never acknowledged? You’ll never see the story of George Stinney Jr. in any school’s history book. Yesterday (October 21) would have been Stinney’s 83rd birthday which makes him exactly two years older than my grandfather. George Stinney could have easily been my grandfather. That history is what makes me continue to fight the good fight. I honor George Stinney Jr. and the countless men and women that came before him. We have to do better. Click here to read more about George Stinney Jr.